Shoreline Drive in Downtown Long Beach serves approximately 15,000 vehicles in each direction every day. With between four and eight lanes of traffic spanning between 100 and 500 feet, Shoreline Drive is much more than a thoroughfare for city traffic, it is also a valuable asset for residents, businesses and tourists alike. 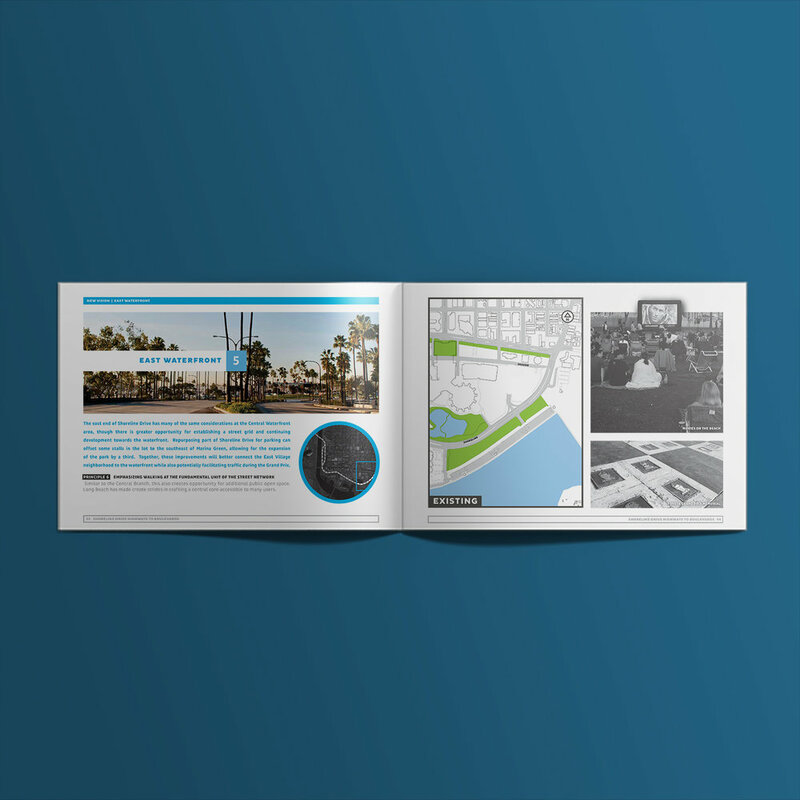 In 2012, the Congress for New Urbanism held a Transportation Summit in Long Beach where they studied the potential to reimagine Shoreline Drive through their Highways-to-Boulevards initiative. 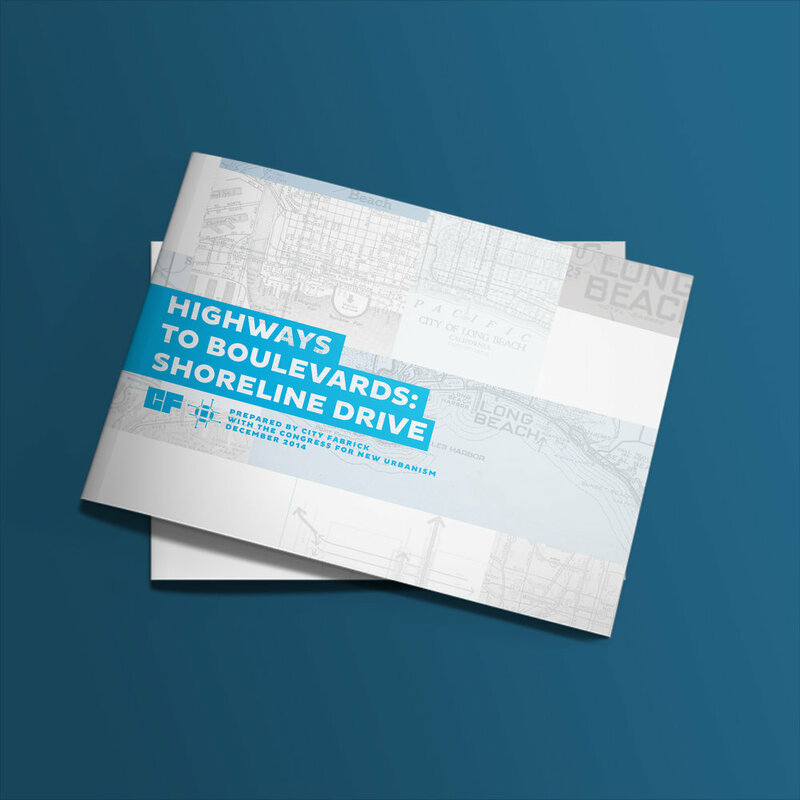 They developed a brief detailing relevant precedents applicable to Shoreline Drive, and preliminary considerations and guiding principles for Shoreline Drive. City Fabrick refined and expanded upon the CNU Transportation Summit, drafting a Highways to Boulevard proposal for Shoreline Drive, going into detail of the past, present and potential future for a Shoreline Drive. A number of elements from the proposal are being considered and implemented including temporary reconfiguration of Shoreline Drive toward the waterfront for traffic calming and reconsideration of the Shoemaker Bridge Replacement project to include new park space and active transportation improvements. The Shoreline Drive Reimagined deck can be found here.